After months of threats, a couple of weeks ago I finally painted our old leather furniture with Chalk Paint™ By Annie Sloan in French Linen. It was an amazing transformation and you can read all about it here. Even though the process was very labour intensive, the work itself was pretty easy and after a couple days and many coats of paint, I left everything to dry before waxing. If you’ve worked with Chalk Paint™ before you know that it dries to a very flat finish, which is beautiful on its own but can mark up very quickly and is not easy to clean. Since this would not be very practical on a couch, I decided to wax the entire set with Annie Sloan’s Soft Clear Wax. For a sturdy surface like wood I would normally use Annie’s wax brush to apply the sealer. It has a sturdy handle with a solid grip. However, since the couches are soft and have a lot more give, I decided to put the wax on with a clean cotton cloth instead (old t-shirts work great). Since the wax can be a little hard, before I got started I placed it a hot water bath for 30 minutes first. It helps to make it more buttery so you don’t have to work so hard at working it into your surface. Normall, I don’t bother with gloves but getting the wax off your hands can take a bit of work so I would recommend a pair of disposable ones to protect your skin. Ideally you want the wax to be the constancy of softened butter. I like working out the larger container since the opening is larger and it’s easier to get your hand in the can! I like to put the wax on in little circles. By the time I was done with all four sides, the first layer of wax was dry enough for a second coat. The wax will change the colour of the paint slightly, making it richer and deeper. After the second coat, I buffed with a new clean soft cotton cloth until the leather no longer felt sticky and the cloth glided smoothly. If you put the wax on too thick and it’s difficult to buff, try applying other coat of wax. I know it seems counter productive but the new wax will melt the old wax and when you buff, the excess will be removed. I know it’s hard to see from the pictures but after buffing, the leather has a soft satin sheen. It will protect the surface from dirt, spills and scratches. TIP: Even though the wax will be dry almost immediately it won’t be cured for a few weeks so try to be gentle with your freshly refinished pieces. After a year or so, you might want to refresh the wax to keep your pieces looking great. 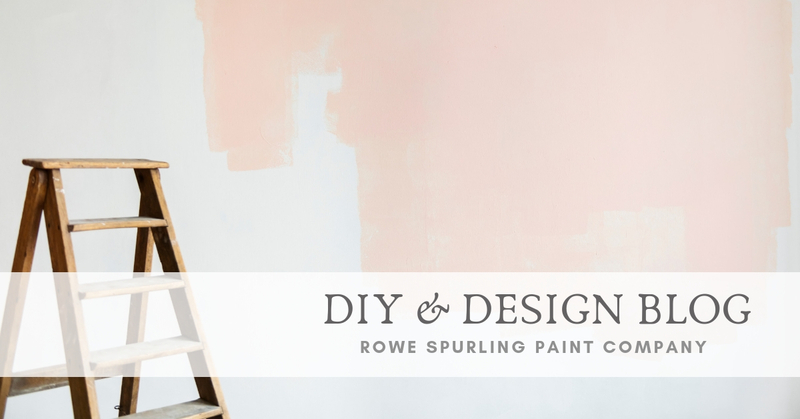 CHALK PAINT™ By Annie Sloan – More Testing! It sounds a little like the surface is ‘rough’ if that makes any sense. My question is, is the leather still soft to touch after painting and waxing. Great writeup by the way! Hello Stuart. Thank you for visiting our blog. After waxing, the couch is super smooth. It’s actually smoother than the old couch was after years of wear. Without the wax it WAS quite dry – almost like very fine sandpaper but now it’s right back to smooth. Have a great night! I painted a leather chair/stool several years ago in red and used both waxes on it. never had a problem. Now in a sunnier olace and the sun if it strikes the chair surface melts the dark wax on it/ the lap top charger was also plugged in and did the same. So any long trm heat is a problem. We only sit on chair in bedroom briefly so it has never been sat on for great lengths. Can I remove both wax and paint to go back to the orig colour and if so how please.? To remove the wax you’ll need a paint thinner. I would suggest Naptha as it is the most gentle, dried fast and doesn’t leave a residue. Since it is a solvent make sure to wear gloves to protect your skin and ventilate your space well (or move the chair outside). As for the paint, it should come off pretty easy with some light grade sandpaper like 280-320. Thank you for visiting and have a great night! Thank you for your feedback! Most paints, even two part industrial finishes, are dry in seven days at most so if your stool is still wet after two months I would suggest there is a bigger problem. Also, a wax or varnish on top of the chalk paint is always recommended to seal and protect. Have a great weekend and thank you for visiting our blog! Good morning Dawn. I would love to send you more pictures but we treated ourselves to new furniture so unfortunately the sofa ended up at the dump. It did, however, hold up great for the entire time we used it – no cracks or scratches! Oh drat! Haha. Thanks for getting back to me so quickly though, I appreciate it. Having done it, would you recommend it to others who need to spruce up old leather? Having done it and hearing from others who have done it I would definitely recommend it. Just be prepares – it’s not hard work but IT IS labour intensive since you need so many coats to cover the leather. Good luck and if you decide to paint it send me a photo! Does the wax come off onto clothes when you use the furniture? I’m not familiar with the product but that’s my main concern. Hello Alexis. The wax does not come off on your clothes at all. Here’s the catch though. While it will be dry enough to the touch right away after buffing, it does take a few weeks to cure – or reach its full chemical hardness. I would suggest being gentle on the furniture for the first 20 days or so to avoid scratches but it won’t rub off. I painted my leather ottoman. I think it’s could be bonded leather. I first prepped it by cleaning it with a light wash followed by a light rub of alcohol . Sanded lightly the peeling arears as well as the rest of the Ottoman. Then did several watered down coat school of annie sloan. It is cracking in those areas and peeling back as well. I have not waxed it yet. Should I remove the paint and start over, should I paint it a darker color so the peeling/cracking is not that obvious . I’ve painted leather b4 with no problems not sure what to do. HELP! Hello Penny. It sounds like you did everything right. The only thing I would change is the rubbing down with alcohol bit. Sometimes solvents like that leave behind a residue which Paint doesn’t stick to. I would sand down the peeling areas, wipe off with a rag damp in vinegar and water. That will clean off any sanding dust (it acts like a fine dusting of flour and can cause adhesion failure) and try a few more coats of the thinned out paint. Let me know how you make out! Does the body heat soften, melt the wax? I have a lazy boy brand sofa and recliner. Evidently the seal coat was bad as moisture would lift the stain. Looks bad but physically and mechanically the furniture is in great shape just bad appearance. I want to do this as long as I know it will last. Not at all. It would have to get REALLY hot to melt the wax! Love this post and excited to try this on our leather sectional. Just curious if this will hold up against dogs who “secretly” enjoy lying on the couch when we aren’t home. I think it would hold up okay. However, I would wait until the paint/wax cures. This generally takes around 28 days. Until then blanket should protect the finish. Have a great day! I would wax last. Before you paint the stripe let the paint dry at least 24 hours and use a low tack tape like 3M 2080. It’s designed for freshly painted and delicate surfaces so it won’t damage the first colour. Hi, I have a super comfy leather couch and of dark colour so would love to keep it if I can make it lighter. Only problem, my cat has damaged it’s sides with its nails. Do you suggest anything before painting or do you think the paint could hide the damage? Good morning Pascale. I don’t think that the paint will hide the damage – it will just settle in the rips. Short of patching it up with leather repair kit (you can find them on Amazon) and painting over the patches there is not a lot you can do. Can you see if a local reupholstered can redo it? I have a leather couch that I’d like to paint. One of the cushions is really roughed up, though. Will that look weird when I paint it? I guess I have nothing to lose if I do, except the cost of the paint. And a maybe really ugly couch. What do you think? Good morning Wendy. If the cushion it will show through the paint. You can try to lightly sand it so make it a bit smoother. Maybe slip covers might be a better option? Have a great Monday! I am wondering how this is holding up. I read somewhere in the comments here that the wax on someone’s couch was melting? I am very seriously considering painting a piece of leather furniture… however, it is in perfect condition and as it is it will last a very long time (probably another 15-20 years). Unfortunately, it is much too dark for my personal taste. i do NOT want to paint it and then ruin it and have to buy a new one, when I know that it is a perfectly good sofa as is. Can you tell me how your painted couch is holding up? Are there any scratches or any issues at all with it at all after 2 years? Good evening and thank you for your comment. The room the couch was in has been repurposed into a laundry room so unfortunately all the furniture was donated. However, it held up great for the year that we had it and we never had a problem with the wax. I think when it is applied to thick and not properly buffed it can melt or scratch over time. But honestly, if your furniture is in perfect shade and clearly a quality piece I would leave it unpainted. To help it fit into your decor I would recommend a few light colored blankets or pillow to break up the dark tones. Hope this helps!